The famous think tank who behind the stronger military relationship between India and US, once again wrote a column focusing the Indian Air force's low number of operational fighters. He wrote this column with the proper inputs input ex IAF officials like AM Mathershwaran, and Indian Navy official like Adm Arun Prakash. He comes with good points by showcasing how bad is the Indian air force, and what are the options left to revamp the modernization program. He not only blamed the low squadron number, he insisted the problematic force structure along with crippled acquisition and modernization programs. where rival forces Pakistan and China is in full swing to modernize their air inventory. China and Pakistan field about 750 advanced air defense/multirole fighters against the IAF’s 450-odd equivalents. The airfield infrastructure limitations in Tibet, however, prevent China from bringing all of its air capabilities to bear against India. Yet after 2025, China could be able to deploy anywhere between 300 and 400 sophisticated air craft against India, in addition to the 100 to 200 advanced fighters likely to exist in Pakistan by then. All three tiers of the IAF are currently in trouble. The Tejas Mark 1 is handicapped by significant technological deficiencies; the prospects for expanding the MMRCA component to compensate for the Tejas’s shortcomings are unclear; and the IAF’s reluctance to proceed fully with the PAK-FA program could undermine its fifth generation fighter ambitions. The IAF should revisit some aspects of its current approach. It should be cautious about expanding the Tejas acquisition beyond six squadrons and consider enlarging the MMRCA component with the cheapest fourth-generation-plus Western fighter available. India should also reassess the decision to develop the AMCA indigenously and avoid weakening the collaboration with Russia on the PAK-FA program. 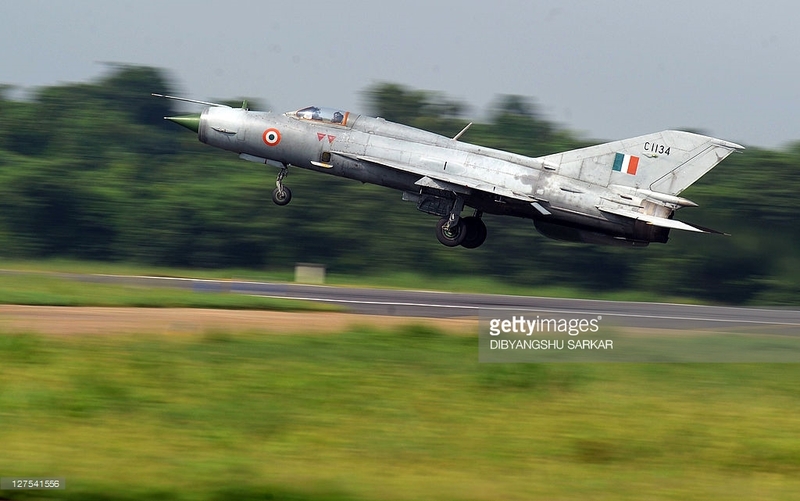 India should expand its investments in advanced munitions, combat support aircraft, electronic warfare, physical infrastructure, and pilot proficiency all current strengths while being realistic about its domestic capacity to produce sophisticated combat air craft. Indian policymakers must especially guard against the temptation to prioritize indigenous design and manufacture over the imperative of providing the IAF’s able pilots with the best fighters available. Like China, the IAF possesses various combat support platforms, but its airborne warning and control systems (AWACS) and its aerial refueling aircraft in particular are still too few in number to support effective air operations on a sustained basis around the Indian subcontinent. The IAF operates a small number of medium UAVs for tactical reconnaissance and maintains some armed drones, such as the Harpy, for the suppression of enemy air defenses. When the number of aircraft actually operational on any given day is accounted for, the IAF’s numerical superiority over the PAF is less than two-to-one, way below the advantageous ratio necessary to underwrite the IAF’s obligations against both Pakistan and China and representing a considerable degradation in comparison to the 1980s, when the IAF enjoyed close to a three-to-one superiority over the PAF. With all PAF F-16s likely to be eventually brought up to the Block 52 standard and equipped with the C5+ version of the potent AIM-120 A2A Missile, the force will have acquired a formidable BVR air combat capability. the PAF in the not-too-distant future could operate some 40 J-31 stealth fighters at the high-end; some 100 F-16s armed with among the best U.S. beyond visual- range air-to-air missiles and other advanced air-to-ground munitions, and possibly complemented by a smaller number of Chinese J-10s in the middle; and as many as 250 JF-17s at the low end. Even the least capable fighter in this lineup, the JF-17, is an effective combatant: it is capable of all-weather operations against both air and surface targets, its aerodynamic performance compares favorably with that of the Indian Tejas, and the later units of its class will likely be armed with advanced Western sensors, weapons, and defensive systems.